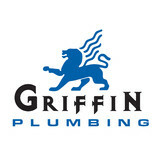 Griffin Plumbing is proud to provide the entire Central Coast community with sound solutions to all of its plumbing needs from residential repair and remodels and commercial service to comprehensive preventative maintenance plans. When you are in need of an honest, reliable plumber in the City of Carpinteria, turn to the experts at Husted Plumbing. Family owned and operated since 1935, we offer exceptional customer service while providing upfront pricing to all our clients. With 100% satisfaction guaranteed and no additional charges for emergency services, you will be glad you called us! Jerry’s Plumbing & Heating has served the Central Coast for years. We are your one source for all your plumbing, heating and air conditioning needs. Throughout our history, our main goal has remained the same: to deliver quality, value and, most of all, service. This commitment means our plumbers work harder and smarter than our competition. We are at the forefront of the industry and offer our customers the latest services, technology and information available. Jerry’s Plumbing & Heating has the experience and expertise to get the job done right the first time. Our highly trained professional plumbers offer a variety of residential, multi-family and commercial plumbing, heating and air conditioning services. Our skilled plumbers use only the finest materials and tools to complete your job. Jerry’s Plumbing & Heating provides personalized service and affordable rates. If there’s anything else we can do to make your experience better, just ask. We appreciate the opportunity to serve you. Established in 2002. Matt B. has been providing quality plumbing services in Ventura County for over 13 years. We have worked on residential and business plumbing/remodeling projects of all sizes. Matt B. also builds and repairs plumbing projects on state and federal locations daily. If you are looking for an experienced plumber with honest pricing and practices Matt B. is ready to serve you. Zierman Plumbing and heating specializes in All Plumbing, Drains, Heating, Certified Back-flow inspections and repairs and Fire sprinkler Certifications and repairs. We are your 24/7/365 day emergency repair shop. Call for Service Today! We have drug free technicians who have been background checked and are friendly and reliable. We have served the Santa Maria Valley and Five-Cities since 1950! Others imitate, but none compare. We are a community orientated company who desire to do the best work available. Was your schedule derailed by a plumbing emergency? Get prompt, reliable services right away with Jack’s All-American Plumbing. Since 1991, the family-owned company has been the service team residents of Santa Maria rely on for quality plumbing solutions. From clogged drains to sewer replacements and bathroom remodeling, the company’s plumbing experts get the job done right the first time. Unlike other plumbing companies with a “take it or leave it” attitude towards their customers, Jack’s All-American Plumbing truly cares about your problem and strives to help in any way they can. In fact, the company has been rightfully voted #1 in Customer Service and the Best Local Plumbers in Santa Maria for 11 years in a row. Receive the same superior workmanship and customer care when you call Jack’s All-American Plumbing for a regular appointment or a 24-hour emergency service today. We uphold a high standard of excellence and take pride in making sure you get the best service possible. We are unmatched by our competition. Family owned and operated. Owner Chris Reed has over 18 years experience in the trade, starting out in NZ he completed 5 years of training and achieved the highest qualification in Plumbing and Gas Fitting. He spent 2 years in Arizona where he worked on new construction high end homes. After visiting an old friend who was living in Santa Barbara he quickly decided to make it his new home. Chris specializes in plumbing remodels, service and repair. with an excellent knowledge of all things plumbing. Jeff Reed has 10 years experience in the plumbing industry, spending 8 years plumbing in New Zealand and completing his 5 years of training, working on all types of new construction and re models. Then moving to London he worked on high end construction for 1 year. He now calls Santa Barbara home working along side his brother for the family business. Located on the east side of Santa Barbara, Economy Plumbing Supply has been locally owned and operated since 1954. At Economy Plumbing Supply you will find only top quality plumbing fixtures, supplies, and materials by leading manufacturers from around the globe. From the do-it-yourselfer to the plumbing professional, we provide you the best service, advice and brands around. In our 3000 sq. ft. warehouse, we maintain a large selection and inventory of many top brands and parts, which means you can count on us when you need to get your job done right and on time. Our 2,600 sq. ft. plumbing supplies showroom features just about everything you'll need - many in stock - from sinks and faucets to the most elegant whirlpool spa. A plumbing contractor handles the installation and repair of water, sewage and natural gas pipes throughout a home, as well as interior and exterior faucets and fixtures. Plumbing contractors are also trained to work with water mains, septic tanks, laundry appliances, water heaters, sump pumps and other plumbing and pipe systems. Because plumbing repair work is done largely behind walls and beneath floors, some plumbing companies can also patch or replace tile, stonework and other surfaces. Although some Mission Canyon plumbers are generalists, others specialize in specific areas; a 24 hour emergency plumber will handle urgent residential repairs, while others may be more skilled in remodeling, natural gas lines, overhead sprinkler systems and more. Find a local Mission Canyon plumber on Houzz. Narrow your search in the Professionals section of the website to plumbing contractors in Mission Canyon, CA. You may also look through photos of Mission Canyon, CA projects to find a licensed plumber who has worked on a project similar to yours. Here are some related professionals and vendors to complement the work of plumbers: General Contractors, Septic Tanks & Systems, Kitchen & Bath Designers, Kitchen & Bath Remodelers.